Matrix / Runout: WOW 001 A For all who remember - a little kindness goes a long way! Matrix / Runout: WOW 001 B For all who remember - a little kindness goes a long way! Both songs are beautiful, emotional and touching, albeit a little messy. Two flawed masterpieces. 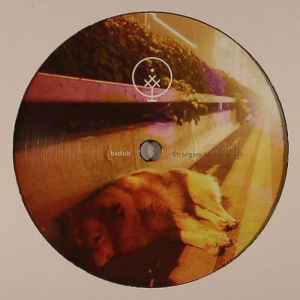 "Strangers no more" sees a much welcome return to wax for Brock and is very much in vein of his recent output on Darla. Both tracks offer soft, echoing, melancholic vocals overseeing some broken up beats, creating an uplifing atmosphere of an open environment.Lift the blinds, open then windows, let the wind and the sunshine fill the grooves and they will reciprocate with warmth, joy and bliss. This record is spiritual. Brock always does well with soft vocal snippets and unlike some of his other works, this feels like it has a goal. It moves you gracefully toward this goal. Side A "Safe & Sound" is soft and gentle in some aspects, but also has distorted break beat kicks to give it momentum. I pick and choose my Bvdub productions very carefully because the man generates a great deal of output. This record is outstanding within his catalog and it is incredibly moving. Goosebumps galore!